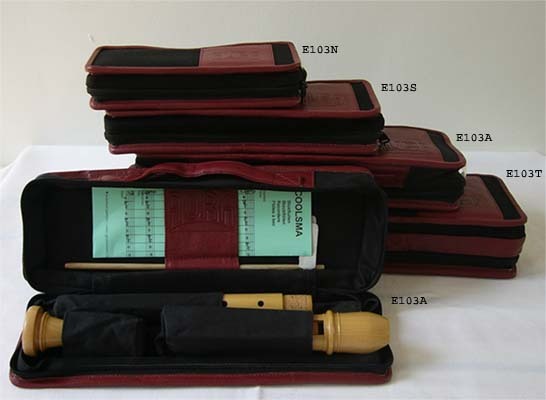 Aura Tenor Conservatorium Boxwood, baroque, in a black drill zipperbag, with burgundi leather lining.- with fingeringchart, wooden swab and grease. 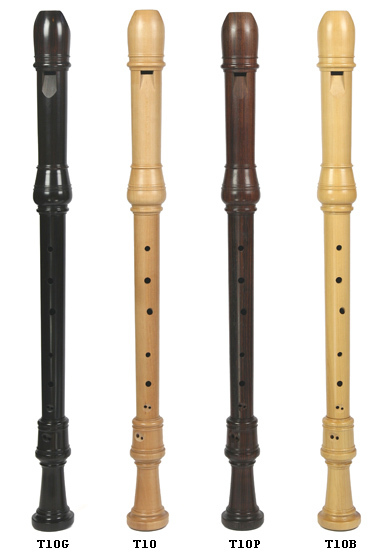 The thumbholebushing prevents the hole from wearing out and thus the instrument from getting out of tune. This model has a curved windway and a conical cedarwood block for an optimal soundmaking.